Katy Perry has been called out for cultural appropriation myriad times over the last five years or so—and she’s deserved it. She’s made a career of shallow, culture diving. She peeks her head in, extracts what she likes, runs it through a bubble-gum filter to remove any unsightly blemishes, and moves on to the next scene. 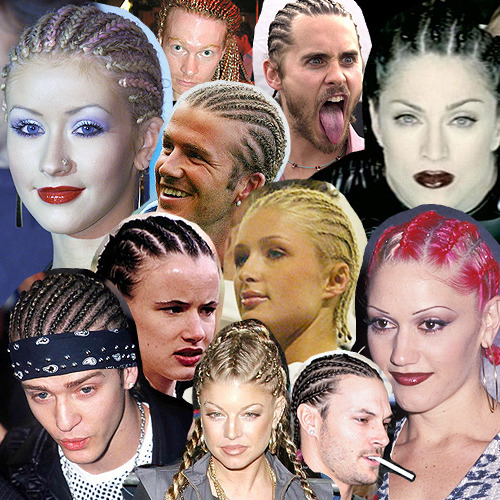 Madonna, Miley Cyrus, Christina Aguilera, Justin Timberlake, Justin Bieber, Pink and many other white pop stars have done the same move, especially with hip-hop: the blaccent, the outfits, the cornrows, singles featuring rappers, etc. And white artists in general have been at the forefront of this practice for over a century. Or dressing up as a geisha with powdered face and all, or playing a neon-infused Egyptian princess, or callously instagramming a picture of a Hindu goddess, there’s a common thread: everything is surface level. It’s aesthetics. She does not take the time to understand a culture or a genre, or a scene, she sees something she likes and she takes it. This is why Perry’s work is so often labeled as appropriation rather than appreciation. These cultures and art forms that she borrows from have stories that are interwoven into their very existence. By utilizing elements of these cultures without understanding them, she’s merely exploiting them for profit. Twerking and hip hop were props to Miley Cyrus that she’s recently moved on from. She got what she needed: attention and album sales, and now, she’s done. And the same goes for Perry; it’s about maintaining relevance at all costs. What’s hot now? Blank. OK, let’s take this syringe, plunge it into it blank, extract its sanitized essence, release its contents into a super soaker and systematically spray it on responsive subsets of the general public until it runs out. This is not how it works, or, more accurately it’s not how it should work. The various scenes Perry pulverizes through on her way to the next fad are not at all strengthened by her. She is criticized by these cultures rather than accepted because she is an outsider who never displays genuine respect for the realms she temporarily dwells within. The reason why hip-hop accepts Eminem and not Iggy Azalea is because Eminem lives for hip-hop and always has—there’s a genuine love there that one can see and feel. He was never using hip-hop as a means to an end. There is a line between influence and exploitation. It’s not as if Perry uses some 808s, or experiments with genre fusion, it’s more of a “gimme that!” scenario, or at least that’s how it comes off. It never feels organic, it feels focus-grouped. Let’s take her SNL performance from this past weekend (May, 20th). It had drag queens, a young, backpack-sporting internet sensation, and Migos. It looked like the product of a board meeting for Katy Perry Inc.
Katy Perry may genuinely love hip-hop, and drag culture, and Japanese culture, and Egyptian culture, and Hinduism, but she never takes the time to understand the deeper meanings therein. She feeds popular items through a meat grinder, and they come out as shredded, neon confetti on the other end. She unwittingly liberates art forms of their depth and soul, while softening the edges to fit her brand. She makes millions bouncing around, sampling the cuisine and co-opting it for her own menu.